How to Hunt Elk: Most states control elk hunting by limiting licenses in designated hunting areas per season, so hunters must apply for a license ahead. By the time elk hunting season arrives, hunters should know how to hunt elk and should have planned their hunting trip well. Hunters must have prepared their equipment, learned about the hunting area and made plans for transporting the downed animal. Type of animal: Elks are part of the deer family. They are also a part of the largest land animals in North America and Eastern Asia. Habitat: Elks typically live in the forest and forest-edge habitat. They are mostly seen in North America and Asia but adapt to other environments. Feeding: Elks feed mainly on grasses, plants, leaves, and bark. They typically eat in the mornings and at night, twice daily. Breeding Season: Bull elk start losing their antlers early in March, and begin to grow them back in May to prepare for their late-summer breeding season. Summers and Winters: Elks can be found mostly at higher elevations during summer time. During winter, however, they typically stay at a downward slope. They also tend to migrate when they are under a hunting pressure. Population Distribution: In North America, Elk primarily live in western regions, especially in mountainous landscapes such as Yellowstone National Park and Wyoming’s National Elk Refuge. Scout your hunting area and make sure you are aware of general locations of the elk before you begin your hunt. When you are out there trying to hunt, you would need to be really slow to avoid spooking Elk so you need to know general areas of Elk presence beforehand. Similar to scouting for the general location of Elk, you need to find out where their food is! Elks usually stay longer at a place where the food is in abundance. You can easily find Elk there especially at night. In the day, when they have finally left the location, you can track them by monitoring their trail. They usually leave their droppings on their tracks. If you observe that the Elk are visiting the same food sources regularly, then the best option is to set up a blind and wait for Elk to come closer to you as it reduces the risk of spooking them away. Best locations for setting up the blinds are the routes between bedding areas and food sources. During one of my earlier adventures, I missed the hunt several times because I was not paying attention to the wind. When hunting for an elk, watch the direction of the wind closely. The Elks usually have a great sense of smell, great eyesight, and sharp ears. They can detect danger from a very long place, so make sure that you have the wind constantly blowing to your face to avoid being detected. Bugles and cow calls have been overused in hunting. Elks are very aware of such calls and so they might typically not answer when they are called. In the past, elk hunters usually used bugles and cow calls to trick the Elks into coming out, but that doesn’t work anymore. Elks have unyielding defense mechanisms; they wouldn’t heed your calls. Even if it seems like a whole lot of fun, do not spook an elk. Once you spook the Elk, they run away because it becomes a sign of danger to them. If you are on a private property, they might even run away to another property where you won’t be able to hunt them. Respect the leader of the pack. Elks usually go around in groups, and they have a designated leader for the group. If you mistakenly spook the leader, it would become extremely difficult for you to spot another elk for at least the next few days! Once they sense danger, Elk would find the fastest way to leaving the spot immediately and may never show up there again. If you make elk nervous by your presence around their bedding areas, then elk would change their habits to avoid being seen again. It is important that you stay clear of the bedding areas and instead find an ambush point between the bedding areas and food sources. 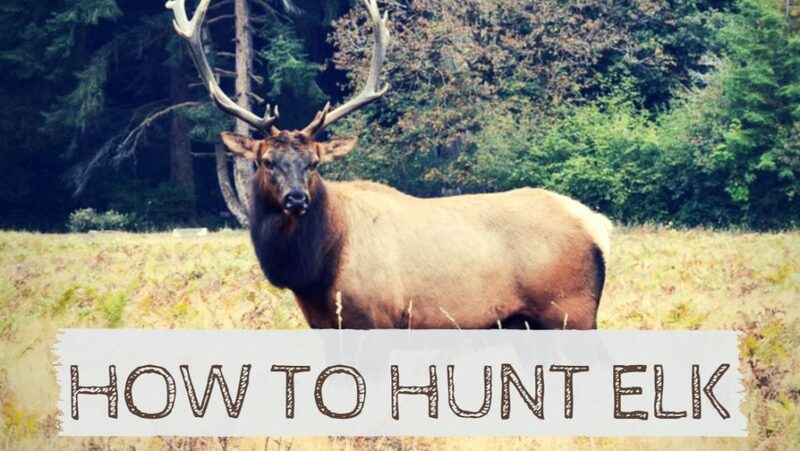 It is not difficult to learn how to hunt elk if you follow the rules above. Stick very close to the guidelines and your hunting will become easier and even fun.